The MASC Conference takes place in COB 2 . 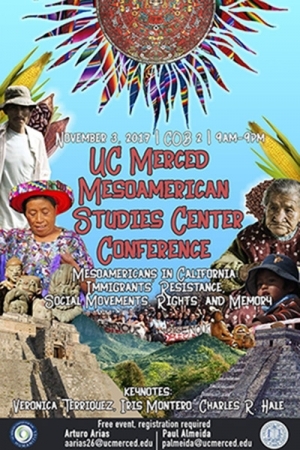 Topics ranging from ethnobotany, public health and feminism to agriculture, urban growth and social movements are among the highlights of the Mesoamerican Studies Center’s upcoming conference at UC Merced. “Mesoamericans in California: Immigrants’ Resistance, Social Movements, Rights, and Memory” is a daylong event that features presentations by undergraduate and graduate students, faculty members and guest speakers, including the fifth-grade class from Planada Elementary School, giving an oral presentation of their parents’ immigration experiences. The day culminates with a dinner, mariachi music and a performance by a group of indigenous dancers from Merced. Everyone is invited to attend, but seating is limited, so it’s important to RSVP for the Nov. 3 event. The MASC is a new center on campus, singular in the UC system. It aims to be the hub for Mesoamerican studies throughout the country. “There are some important Latin-American centers at other campuses, including UCLA, UC Berkeley and the University of Texas, but nowhere is there a Mesoamerican center,” co-Director and Professor Arturo Arias said. Mesoamerica is defined as the region that stretches from Central America up through Mexico and into the American Southwest — areas where indigenous people formed some of the world’s most complex societies, including the Aztecs, Olmecs, Inca and Maya. 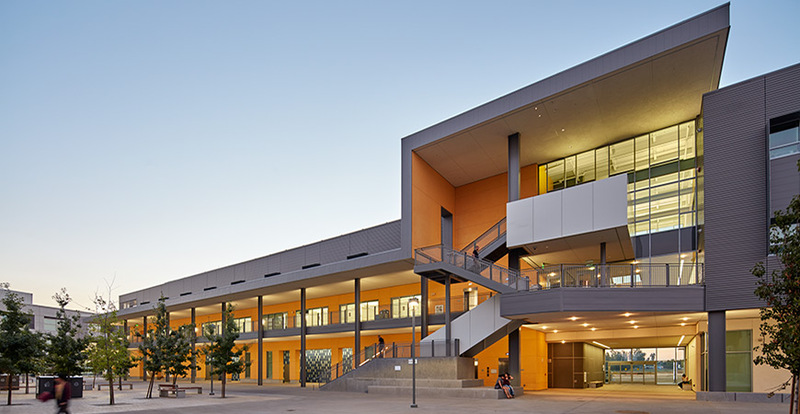 Being headquartered at UC Merced, the MASC can integrate a wide variety of studies into its examination of Mesoamerica, including history, archaeology, literature, the arts, biology and sociology. For example, he pointed out undergraduate student Epiphaneia Juarez, who is of Mayan descent. She wants to be a doctor in part so she can give back to the community she came from. Arias, an Interdisciplinary Humanities professor who is one of two John D. and Catherine T. MacArthur endowed chairs at UC Merced, is using part of his endowment and a grant from the Center for the Humanities to fund the conference. Arias and Almeida hope this will become an annual event as the Mesoamerican Studies program grows and develops into a full major and graduate program someday. For now, though, they are excited to highlight the work of their students, including undergraduates — who don’t typically get to present at conferences — graduate students, and their colleagues, including Professor Tanya Golash-Boza, who will speak on mass deportation, and Professor Teenie Matlock, who is presenting with a graduate student on how language influences attitudes about immigration. Students from a variety of disciplines are preparing to talk about their work, including Epiphaneia Juarez, a sophonore with the School of Natural Sciences, who will talk about the Vitamin Project, designed to keep indigenous groups healthy despite poverty and its inherent nutritional challenges; undergraduate Kesia Garibay, who will present with Professor Mariaelena Gonzalez on smoking among Mexicans and whites; sociology grad student Rodolfo Rodriguez, speaking on farm labor organizing in an anti-union environment; and fellow sociology graduate students Maria Mora and Alejandro Zermeño will present research on immigrant rights mobilizing and participation in native rituals, respectively.